PROBIOTICS are a dietary supplement that increase the population of the ‘good’ bacteria (micro flora), which are needed in the intestinal tract in order to process food properly. 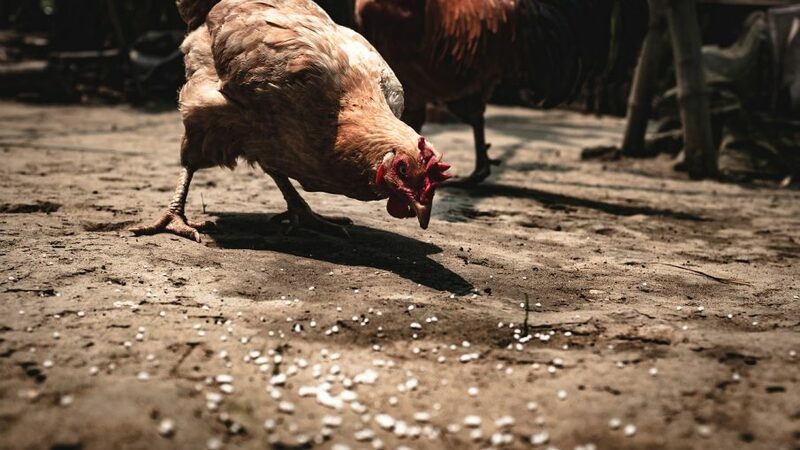 The use of probiotics as a daily supplement has become a popular routine in the commercial poultry industry, particularly following antibiotic treatment. One commonly known probiotic is called Lactobacillus Acidophilus, and is naturally occurring in some food such as yogurt. But direct application through a liquid or powdered form mixed into drinking water is the most effective route. Good bacteria also help fight off the bad bacteria that passes through the system, before it has a chance to take hold. Introducing probiotics into the digestive system everyday to ward off bacterial infection is known as ‘selective exclusion’. Selective exclusion is a very good way to keep your birds healthy and disease resistant throughout their life. I use probiotics in my own flock, along with a vitamin and mineral supplement on a daily basis. I also use probiotics before, during, and after both showing and breeding. For showing, the probiotics help the birds ward off most illnesses they could become exposed to in that environment. For breeding, one benefit is the tendency of the laying hens to drink more water, when the water is treated with flavored probiotics. Both breeding and showing are very stressful times in your birds’ lives, and the vulnerability to disease increases during those times. The use of probiotics helps to reduce that vulnerability. During times of stress or the use of antibacterials (antibiotics), hormonal changes can occur, causing the pH of the small intestine to rise. This allows existing bad bacteria to take a foothold in the lining of the intestine because of the deterioration of the protective mucus lining. Because of this, the ‘villi’ (little fingers), which normally exist in the small intestine, can be lost. Villi slow the movement of food as it passes through so that nutrients can be absorbed through the intestinal wall. The term ‘going light’ can occur when villi are lost. Increasing good gut bacteria through the use of probiotics will compete against the bad bacteria, change the pH environment, allow nutrient absorption, and prevent infection. Probiotic treatment has also shown an ability to stimulate appetite – a valuable thing when trying to maintain the weight of an ailing bird. If you’re not inclined to use probiotics on a daily basis, then at least consider their use immediately following antibiotic treatment. When your bird is treated with antibiotics, all bacteria are killed off – good and bad. Treating with probiotics immediately after the use of antibiotics, help to repopulate the gut with the good bacteria. In many cases, this can ward off a secondary infection, such as E Coli. E. Coli has been shown to exist in virtually all manure samples, but only becomes a problem when the digestive environment is friendly to its reproduction. Here are two ways you can introduce probiotics into your birds’ diet. If you have a very small flock, GNC (in most shopping malls), sells a flavored liquid version of L. Acidophilus. I’ve used that at the rate of .7cc per bantam per day in their drinking water. If you have a large flock, consider a powdered version that you also mix into the drinking water. This version is better because it contains several other beneficial bacteria besides the L. Acidophilus. (Of all of the beneficial bacteria though, L. Acidophilus is the most important.) First State Veterinary Supply, which advertises in the Poultry Press, has a good powdered product, but I would call the other suppliers as well to see if they carry an equivalent product. You cannot use Oxine in water and expect the birds to receive any benefit of probiotics added. There is the problem of chlorinated water also inhibiting the addition of probiotic water dispersibles. Settiing water out for a day, or overnight to dechlorinate water, and adding probiotics is what many do. Or they use a product such as one made by Animal Science Products (Old Stone Fort) which is stabilized for use in chlorinated water. There is absolutely no reason to use apple cider vinegar or Oxine on a daily basis. I have a duck who has been on extensive antibiotics. I am looking for a source of probiotics suitable for ducks. A supplement for both chickens and ducks would be even better. Please can you suggest a make or source suitable, ideally of a comprehensive range of species. I take supplements myself, but I dont want to assume that what suits humans will necessarily suit fowl!